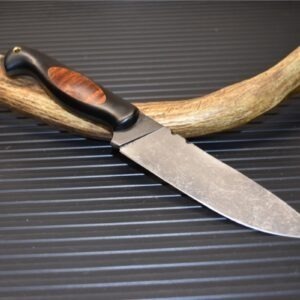 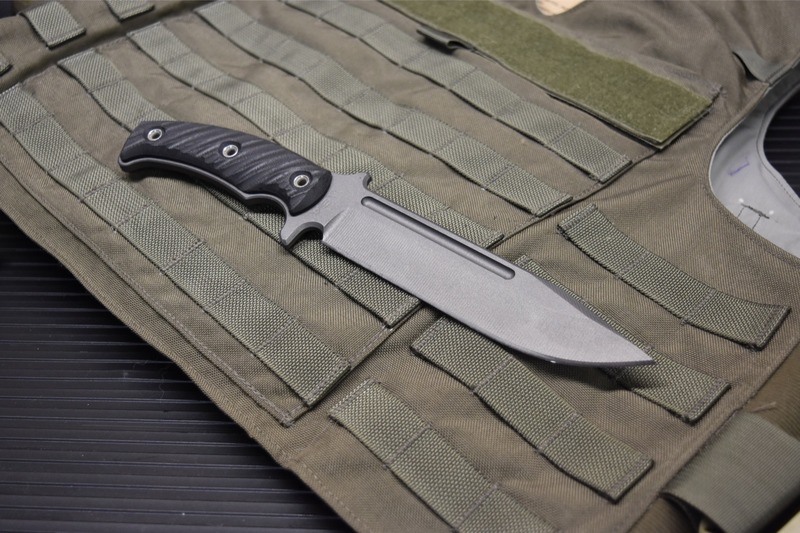 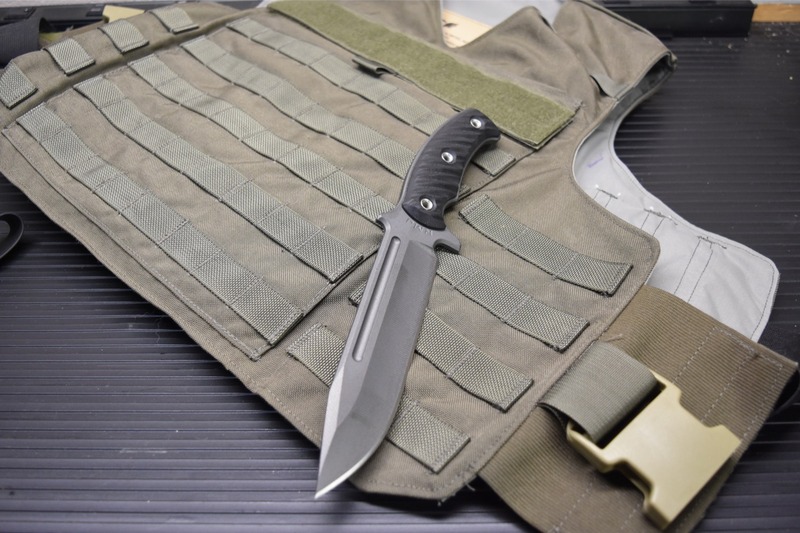 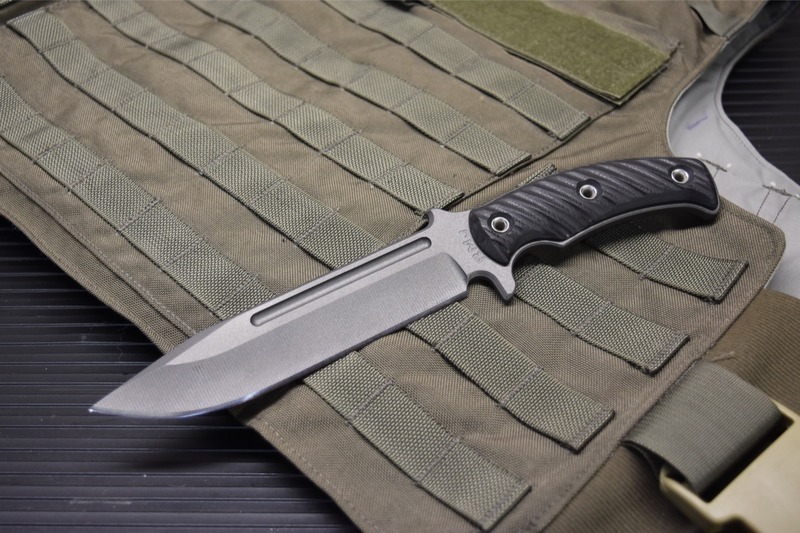 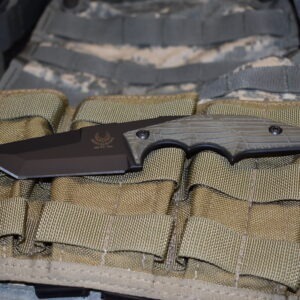 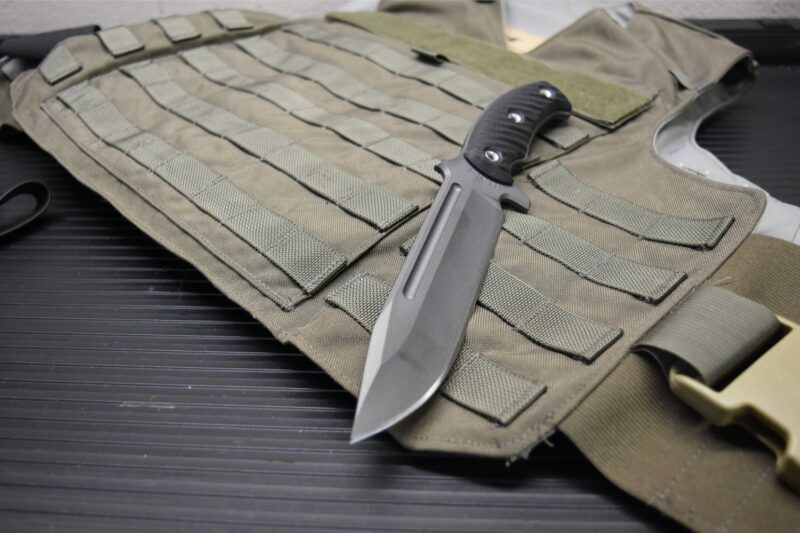 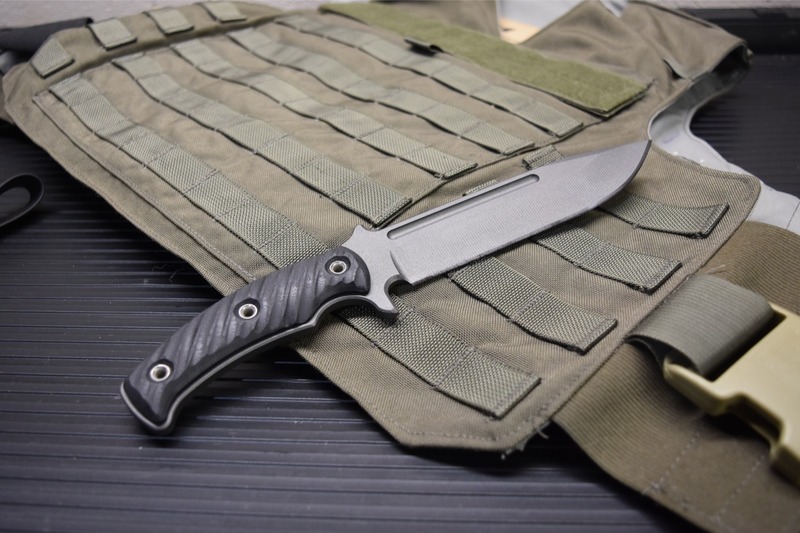 The RMJ Tactical Combat Africa is a 7″ blade field knife suitable as a fighter or all around utility blade. 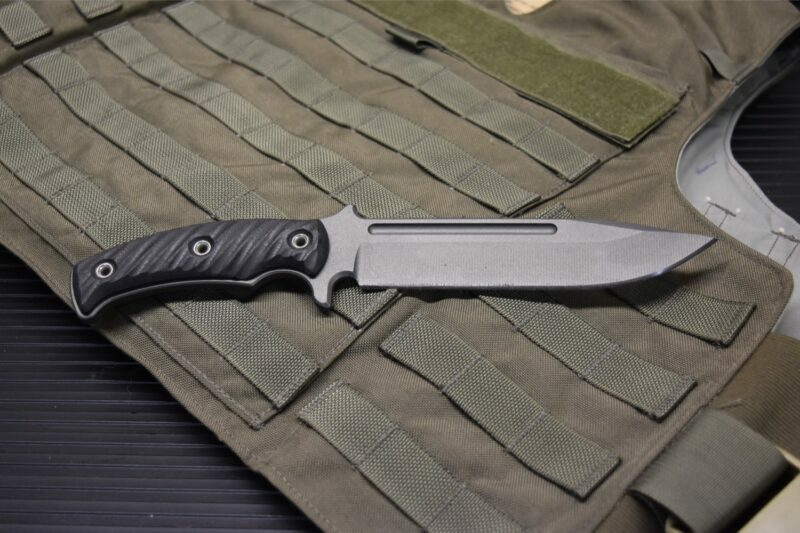 The handle rolls to the rear and it has a single finger groove making for a very nice grip. 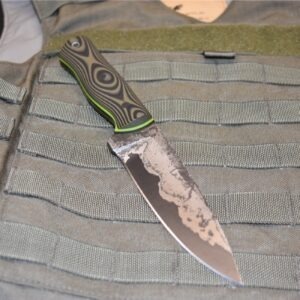 The knife has intergal guards top and bottom, a fuller, 80CRV2 .25″ thick blade with a tungsten cerakote finish. 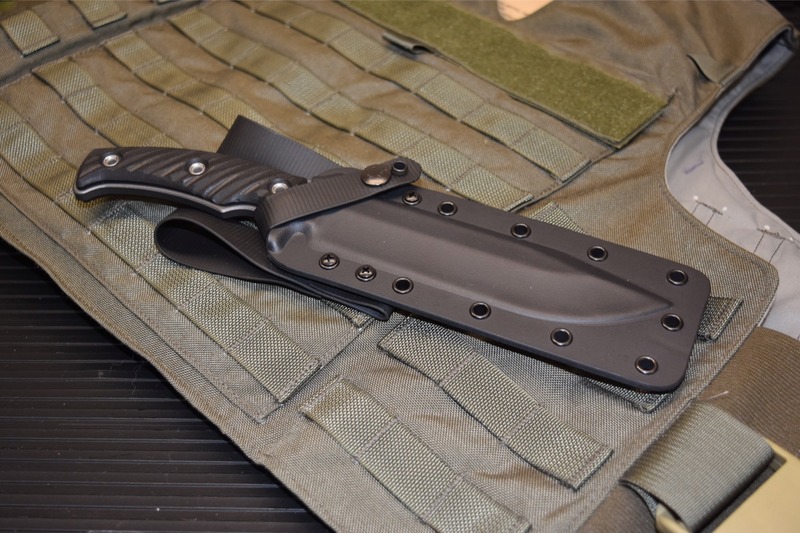 Comes with a Kydex sheath and rubber straps, leather sheath is available.